Enjoy the company of monkey guru, elephant guru and tiger guru, where they will lead you to a mountain where you will find riches and entertainment for hours. 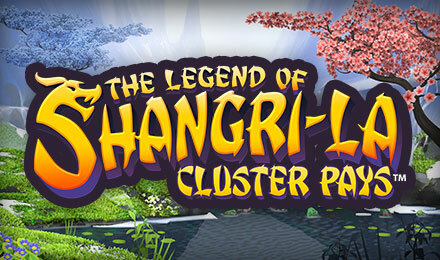 The Legend of Shangri-La: Cluster Pays is the next game added to NetEnt’s new series of Cluster Pays slots. Let the wise monk accompany you on an enlightening journey to find your riches and inner peace. The slot grid consists of 6 reels and cluster pays. It is also accompanied by random wilds, sticky respins, nudge reels and free spins. Place your bets as from £0.10 to £200. Watch out for the high paying symbols such as the elephant guru, monkey guru and tiger guru which can award up to 1,000x your stake.